Bromination of Alkenes – How Does It Work? There is a knack to drawing proper tetrahedrons. And some very common pitfalls that might not be immediately obvious. One of the challenges that has faced chemists since the days of Van’t Hoff’s controversial (for the 1870’s!) proposal that carbons attached to four substituents can adopt a tetrahedral geometry is that of trying to depict three-dimensional structures on a two dimensional page. 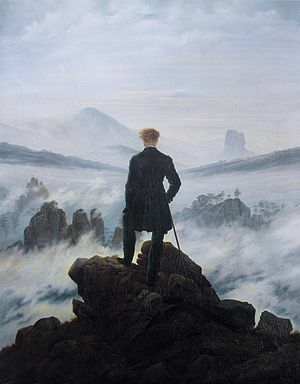 The Wanderer Above the Sea of Fog by Caspar David Friedrich. Foreground is heavy, background is light to give illusion of distance. 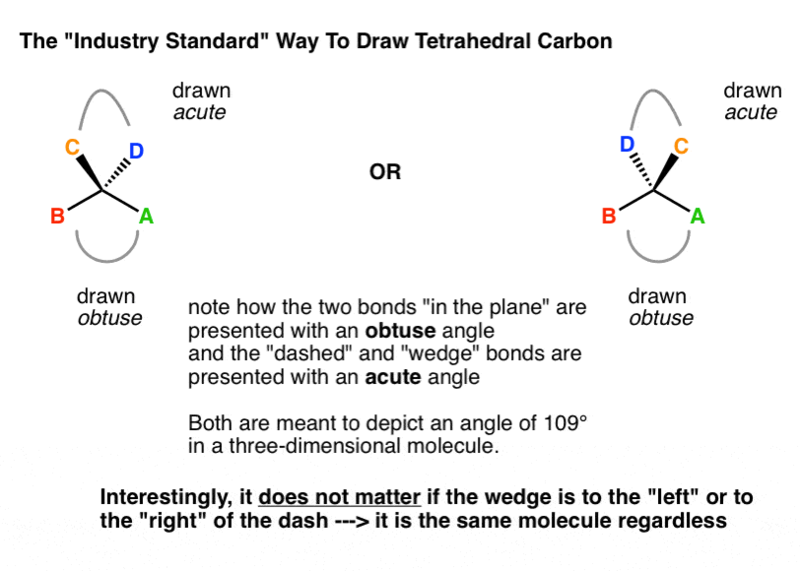 Although there are several permissible ways to depict a tetrahedral carbon on a flat page using dashes and wedges, the most intuitive to grasp is the one which shows one bond on a “wedge”, one on a “dash”, and two that are “flat” (that is, in the plane of the page). Here is what you might call the “industry standard” version, since it will easily allow us to add chains going off to the left and right (more on that later). 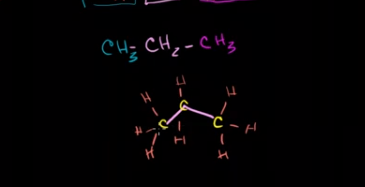 Here, note that it actually doesn’t matter if the “wedged” bond (C) is drawn to the left or to the right of the “dashed” bond – they depict the same molecule! Although this might seem straightforward so far, it can be surprisingly easy to screw this up. One of the most common ways in which to err is to draw an obtuse angle between the “wedge” and “dash” substituents. The problem with this is that it does not depict a tetrahedral geometry. In fact, if you rotate the molecule 90°, you should be able to see that the molecule actually resembles a seesaw. 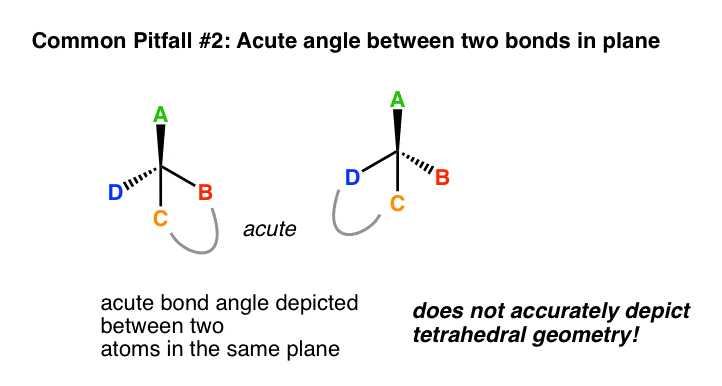 A second way to draw tetrahedral carbon inaccurately is to draw an acute angle between the two substituents “in plane”. This is inaccurate because it is depicting a bond angle of <90° for two substituents which is of course not realistic. This error renders the three dimensional drawing below somewhat ambiguous. While it’s not irrecovably bad, it is misleading. when we draw a carbon chain, all the carbons drawn in “zigzag” form are assumed to be “in the plane”. 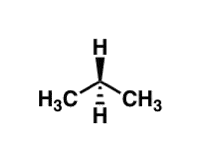 If we wanted to draw in the implicit hydrogens, we’d do it this way. And this is wrong because it does not correctly depict tetrahedral carbon. It would be much worse to show this in a long chain, such as here. 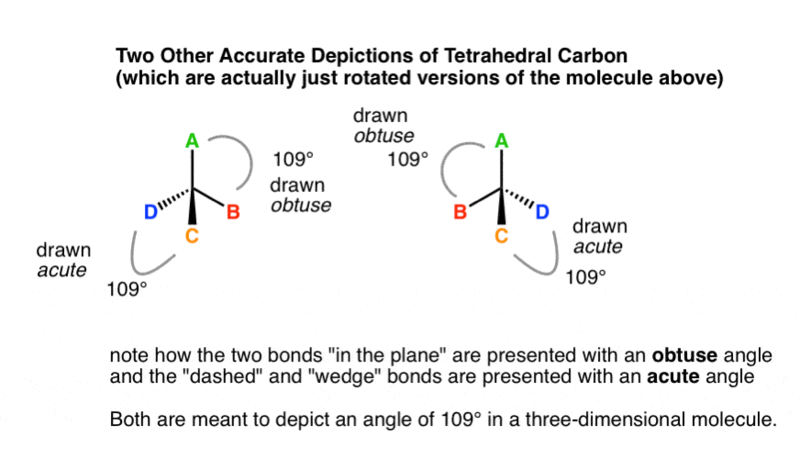 The fact that it is “surprisingly easy” to screw up drawing tetrahedral carbon may only be in fact surprising to newbies. Experienced students are aware that organic chemistry is a topic which presents a truly astounding variety of ways in which to err!!! If I had a nickel for every time I saw a student draw “wedge and dash on opposite sides of the in-plane bonds” (Common Pitfall #1), I’d be loaded. It’s an extremely common, and extremely annoying, mistake. In my experience, it shows up most in bridged compounds where the bridgeheads are stereocenters. This, in my experience, is one of those things that students don’t pay enough attention to. I suppose the trick is to convince them that organic chemistry is part science class, part art class. There is an art class component to it. Any time you draw a 3 dimensional object (whether it be a car, a table, or a molecule) there is always a choice made as to the perspective it will be drawn from. I try to keep hammering away at students to think of molecules as being no different from other 3 dimensional objects. Bridged compounds are a perfect example of molecules that freak students out the first time they see them drawn from the “side” perspective. If you think stereochemistry is difficult (so do I! ), I wholeheartedly recommend taking a course in heterocyclic chemistry instead. Preferably one that is focused on unsaturated (aromatic) rings. 100 % free of wedges, iron-clad guarantee. does rotating by 90 degree change the configuration of molecule?? No, rotation never changes configuration. If you turn a car 90 degrees do the passengers end up in different seats or do the tires get transferred between sides? Of course not, right? It’s the same thing.